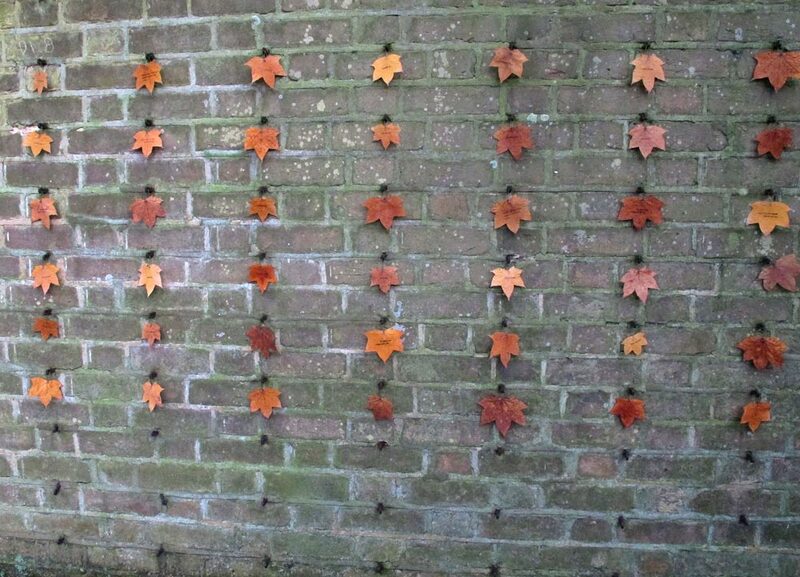 The first of the site-specific installations on a wall on the University of Exeter Streatham campus in the UK (2014). 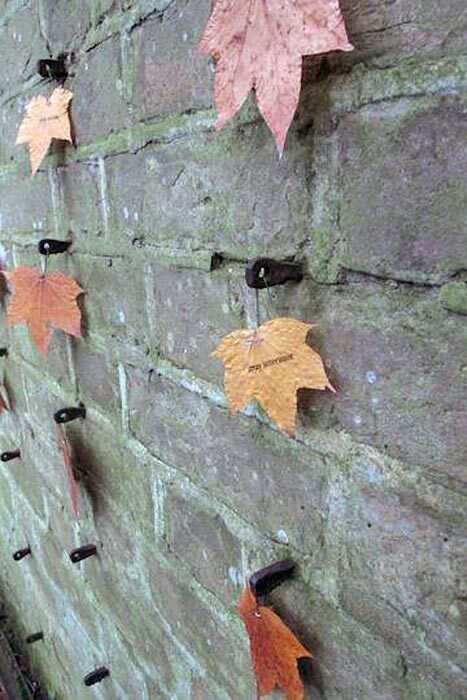 Leaves from the campus trees were dried and fragments of poems printed on them using an ink-jet printer. The leaves showed the shifting of the world about them, exposed as they were to wind, rain and passersby.